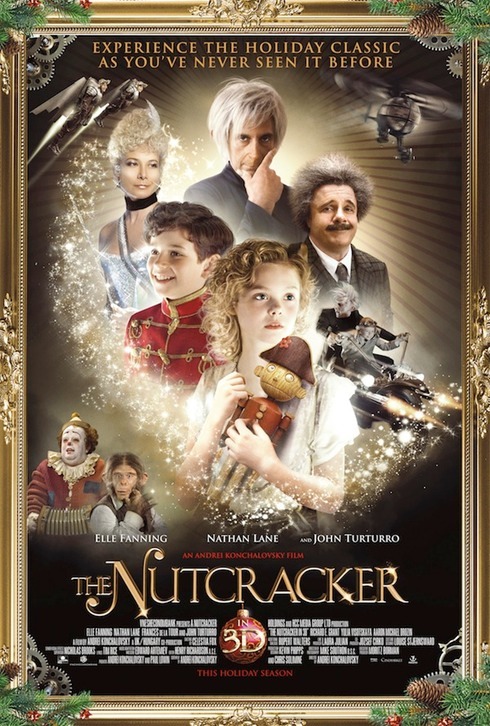 From the acclaimed Russian director Andrei Konchalovsky, The NUTCRACKER in 3D follows nine-year-old Mary (Elle Fanning) whose dull Viennese Christmas is filled with excitement following the arrival of her beloved Uncle Albert (Nathan Lane) and his gift of an enchanted nutcracker. 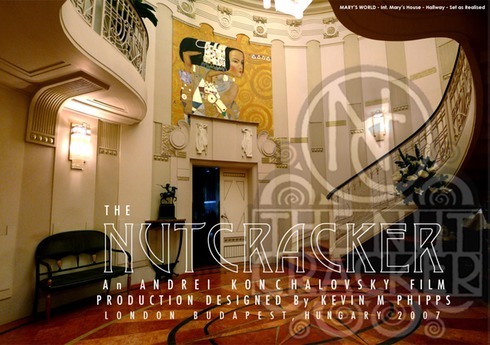 That night, The Nutcracker (Charlie Rowe) or "NC," comes to life and takes Mary on a wondrous journey into his magical world of fairies, sugarplums, and other Christmas toys which come to life. Mary soon realises that this fantastical kingdom is facing danger from the tyrannical rule of the evil Rat King (John Turturro) and his devious mother (Frances de la Tour). When NC is taken hostage, Mary and her newfound toy friends must uncover the secret of the Rat King to rescue NC and his kingdom. Loosely based on the story that inspired composer Piotr Tchaikovsky to create the music for the iconic ballet, the film includes eight new songs by Oscar-winning lyricist Sir Tim Rice (The Lion King, Evita, Jesus Christ Superstar).